QUINCY, Ill.—An affiliate of Russian Direct Investment Fund, one of three shareholders of Voltyre-Prom, has notified Titan International Inc. it is exercising a put option on its share in the Russian tire maker, which could be worth up to $76.2 million. The put option obligates Titan to buy RDIF's shares in Voltye-Prom at a predetermined value, an obligation Titan can settle either with cash or in Titan common stock. The cash option would range from $74.3 million to $76.2 million, while the stock option would range from about 10.2 million up to slightly more than 10.4 million shares, Titan said. Titan's direct ownership is 43 percent, according to the firm's fiscal 2017 10-K filing with the Securities and Exchange Commission. 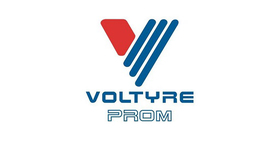 Voltyre-Prom operates a 2 million-sq.-ft. factory in Volgograd, Russia, that produces agricultural and industrial tires. Capacity there is rated at 2 million tires per year, according to information released in 2013, when Titan, RDIF and One Equity Partners bought majority ownership of the plant from JSC Cordiant. The partners paid about $94 million, including the assumption of an undisclosed amount of debt, for their stake. They took full control in 2014. RDIF is a $10 billion fund established by the Russian government to make equity investments primarily in the Russian economy, while OEP is a global private equity fund and a subsidiary of JP Morgan Chase & Co.
At this time, OEP has not given notice of its exercise of put rights pursuant to the shareholders' agreement, Titan said, but it may do so through Jan. 9, 2019.